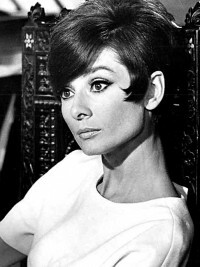 On May 4th we celebrate the birthday of Film and Fashion Icon Audrey Hepburn. Known for her confident elegance and grace, Audrey Hepburn’s personal style has inspired fashion for generations to come. Below are 5 Style Lessons Learned from Audrey Hepburn, coupled with easy ways to make the look your own. Well known for her tiny waist, Audrey often turned to full skirts that flattered her figure well. Whether you love to show off your waist like Audrey, or prefer to give more attention to other parts like your legs, shoulders, chest or more, finding the perfect fitting garment is important. Brands like eShakti offer customization options that allow consumers to select the exact measurements for the garment of their choice, plus the ability to adjust sleeves, hem length, neckline and more to create a dress that’s perfectly flattering. Often seen in elegant flats, Audrey taught us that you don’t need to be in sky high heels to look polished and stunning. Legs, feet, backs and hips rejoice! 3. Always Look Stylish Even in Bad Weather. Perfectly polished and chic, Audrey pulled together distinct and trendy looks for any weather and occasion. 4. ….and in Good Weather. Often seen in large dark sunglasses, this functional accessory turned fashion statement pulled together many chic looks for Audrey. SWG NR003 Sunglasses from www.OneStopPlus.com $25.45. SWG NUV512A Sunglasses from www.OneStopPlus.com $25.45. 5. Pearls Never Go Out of Style. Known for her bold, yet feminine, accessories, Audrey was fearless in her ability to accessorize outfits with statement pieces such as tiaras and pearls. Hand Knotted Dramatic Pearl Necklace from www.SuperJeweler.com $49.99. Grey Baroque Pearl Strand Necklace from www.SuperJeweler.com $39.99. Freshwater White Semi-Round Pearl Stud Earrings from www.SuperJeweler.com $9.99.